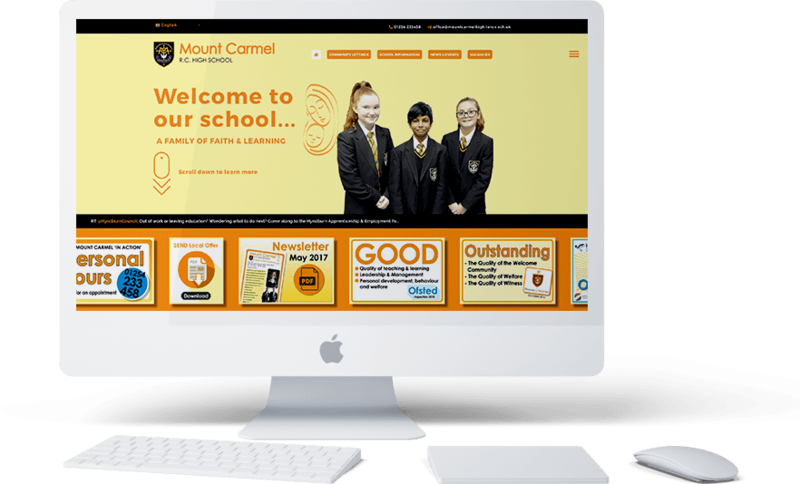 We were commissioned to develop and deliver a brand-new website for Mount Carmel RC High School, a proud school providing high quality education for all families in the area who share their values, beliefs and traditions. It is a school that has also gone from strength to strength in recent years and continues to strive for nothing less than excellence in all aspects of education. 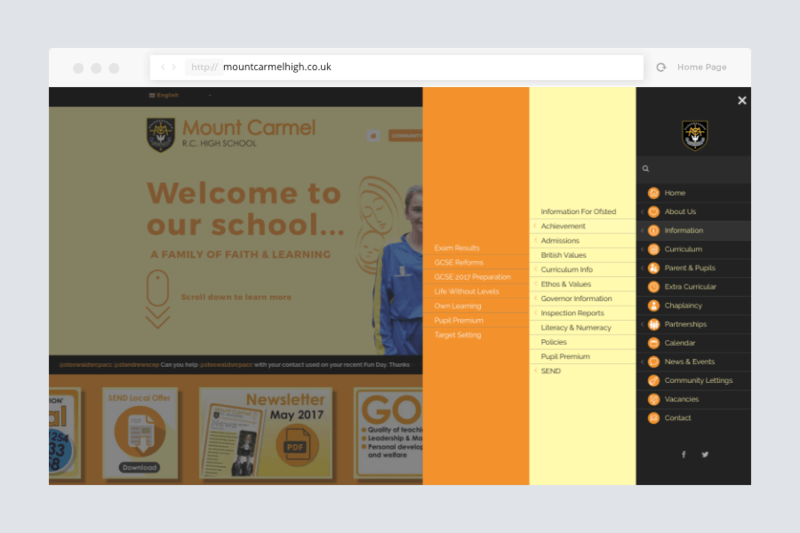 They wanted a responsive design, with a fresh look, focussing on the core values of the school whilst maintaining the existing branding and design requirements. 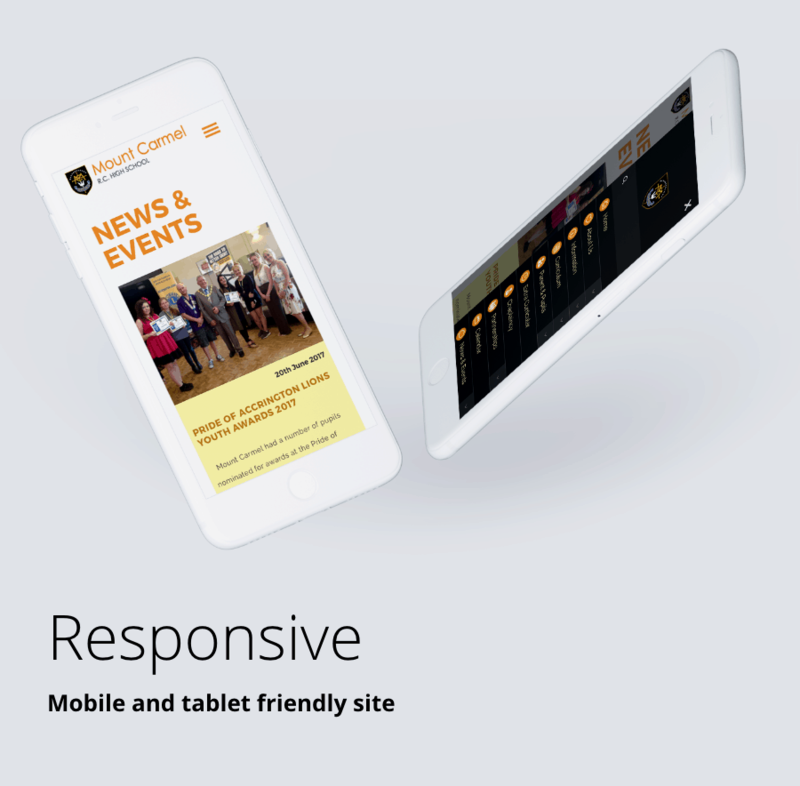 As the school continues to progress, the website showcases the school to potential parents and students, whilst continuing to engage with existing ones. 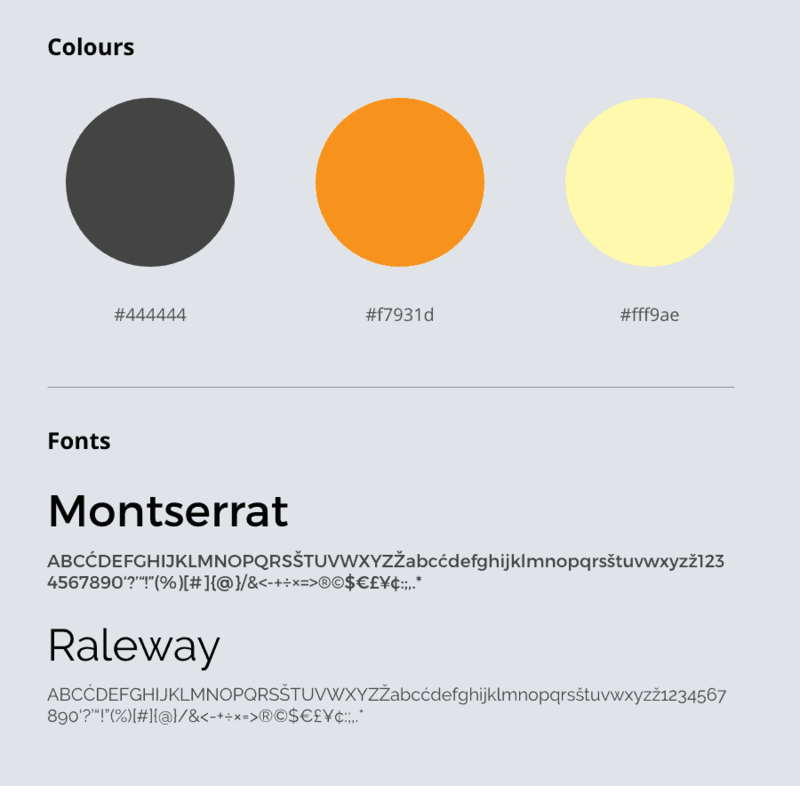 Our services to the educational sector encompass all forms of marketing, design and print services.